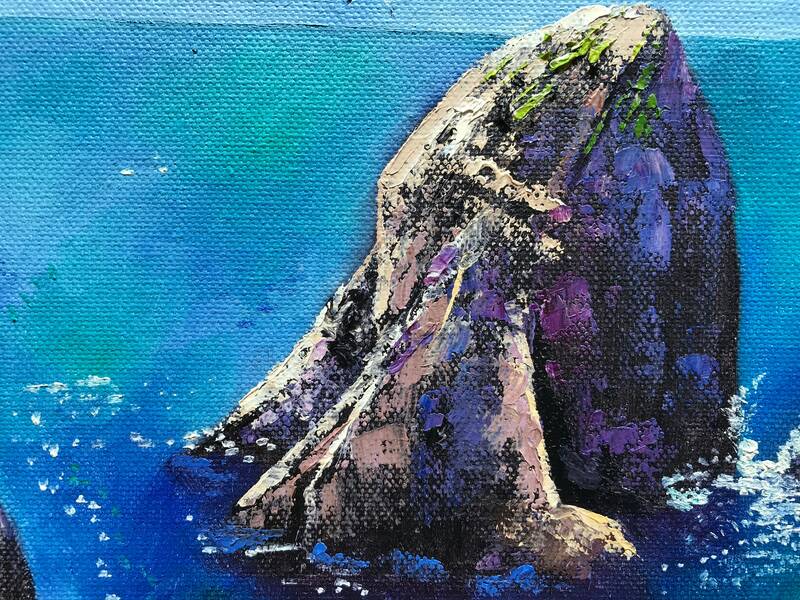 Spectacular Capri is an original 9" x 12" oil painting. 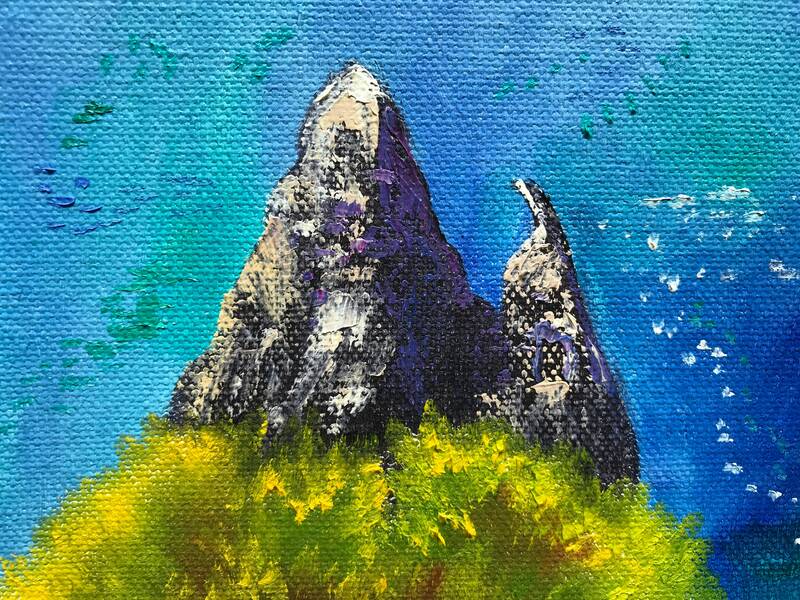 The painting is of the picturesque faraglioni rocks on the Isle of Capri. 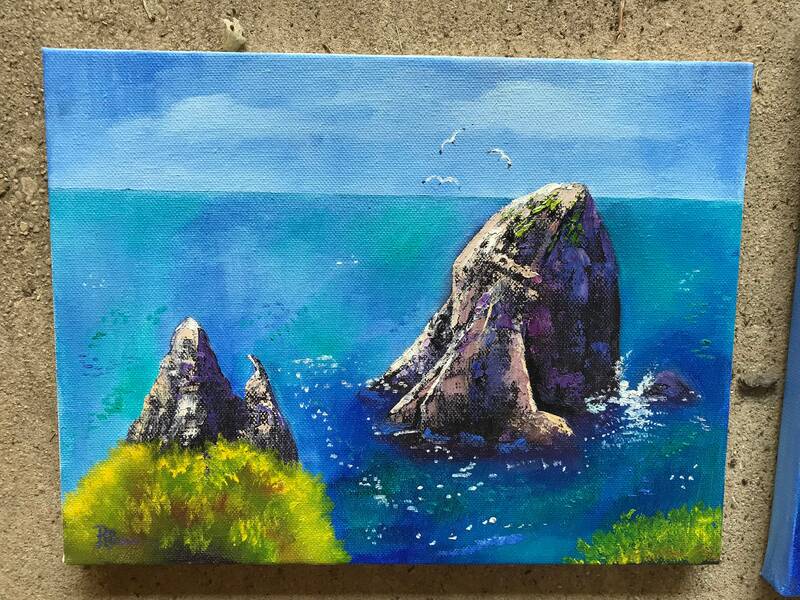 Capri is a beautiful place to visit, and I tried to capture the vivid colors of the sea and hills. The vivid deep azure of the Italian sea is so translucent, you can even see the green plants below the surface of the water. There are also sea gulls flying around. 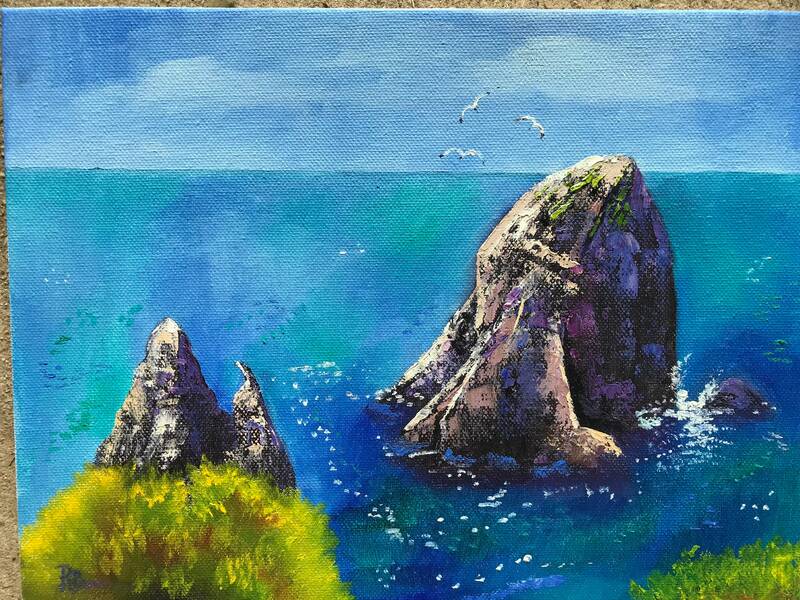 This is a wonderful painting to remind you of your vacation to Italy. 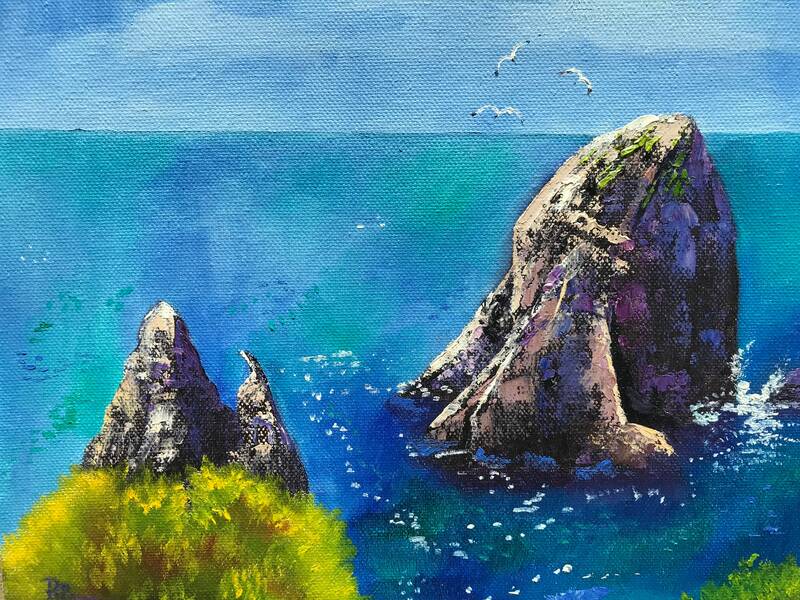 There is a matching painting, also of the Capri scenery, called Romantic Capri. 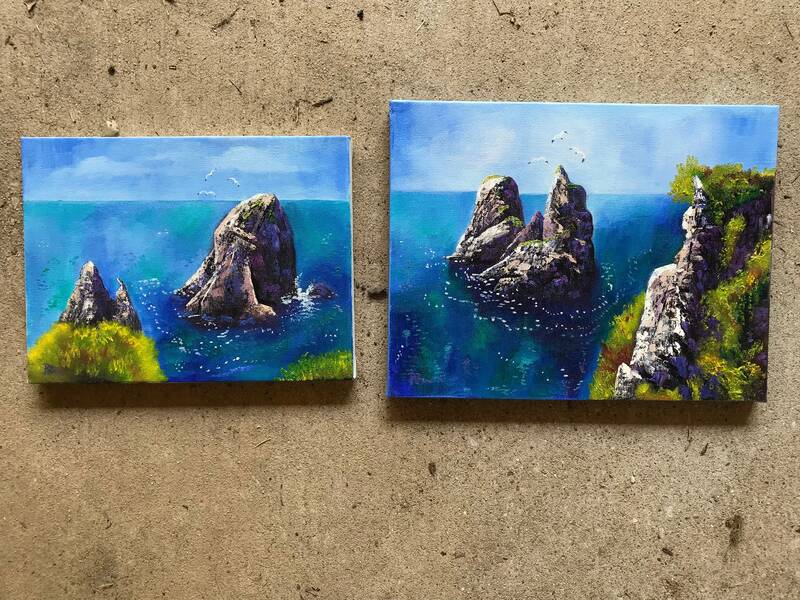 Both paintings were done from pictures I took visiting the Isle of Capri. The view is so beautiful, I just had to represent the breathtaking view.